Music historians have often referred to the melding together of Country & Western and Rhythm & Blues as an origin of the American art form known as Rock and Roll. Cincinnati's King Records was the first record label to cross boundaries between these two distinctive musical styles. Between the years 1943 and 1971 Cincinnati's King Records revolutionized the process in which music was recorded, manufactured, distributed and promoted. Nearly 250 hit songs were recorded and more than 150 million records in the Jazz, Country, Bluegrass and Rhythm & Blues fields were manufactured. King Records was the brainchild of Syd Nathan, the owner of a record shop in Cincinnati’s West End. The migration of African-Americans and Appalachians from the south to Cincinnati in the late 1930s and early ‘40s inspired him to create the King label in 1943. In response, Nathan founded a company that would record and promote music being neglected by the major labels in the mid ‘40s - Country and Rhythm & Blues. With vision, drive and determination, Nathan created a complete, vertically integrated operation with its own recording studio, pressing plants, art department, and international-distribution system. At one point, King had become the sixth-largest record label in the United States. In short, the story of King Records is inspirational, one in which African-American, Appalachian and Jewish-Americans came together to achieve music history. By taking a collective, synergistic approach that mixed Country & Western and Rhythm & Blues music, these groups, through interracial artistic and business cooperation, challenged the dominant music forms of the 1940s and forever transformed American popular music. This amazing musical history happened at 1540 Brewster Avenue in the heart of Evanston. The stories of neighborhood children fascinated by the activities at King are best exemplified by an neighborhood teenager named Bootsy Collins. Bootsy’s love of music coupled with his proximity to King Records landed him on tour with James Brown and the Famous Flames. Today he is enshrined in the Rock and Roll Hall of Fame. Otis Williams was born and raised in Cincinnati, Ohio and his band The Charms, formed at Cincinnati’s Withrow High, were one of King Record’s more prolific artists, scoring 2 gold records and 9 hits. Professional musicians such as Philip Paul came to Cincinnati to work at King. Mr. Paul and other King artists still live in and contribute to the Evanston community. In 1947, a group of racially diverse employees began working together in all departments. He also encouraged black and white musicians to appreciate each other’s talents by playing together in the studio, laying the groundwork. Country singers such as Grandpa Jones and Cowboy Copas recorded music at King Records. With its talented sales representatives and distribution team, King helped introduce R&B music to white audiences. It was this music that influenced The Everly Brothers, Jerry Lee Lewis, Buddy Holly and Elvis Presley as teenagers. King was the birthplace of many classic titles in the American Songbook: Good Rockin’ Tonight, Freight Train Boogie, Blues Stay Away from Me, Kansas City, Train Kept a Rollin’, Honky Tonk, Fever, The Twist, Papa’s Got a New Bag, and Hideaway. It was also at King Records that a young, unknown singer, signed in 1956, exploded onto the international music scene in the 60s. 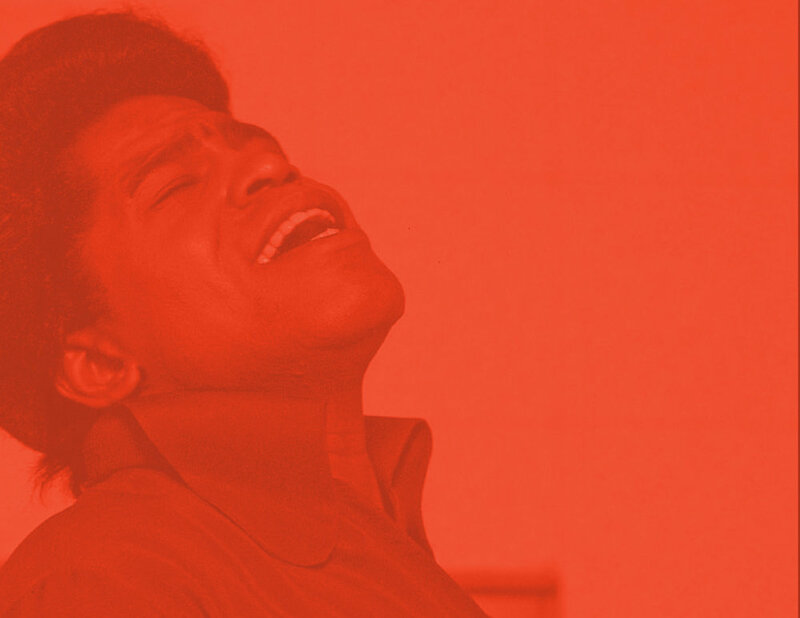 His name was James Brown, the Godfather of Soul and the Grandmaster of Funk. Cold Sweat, which has been cited as the first true funk song, was recorded by James Brown at 1540 Brewster Avenue in 1967.